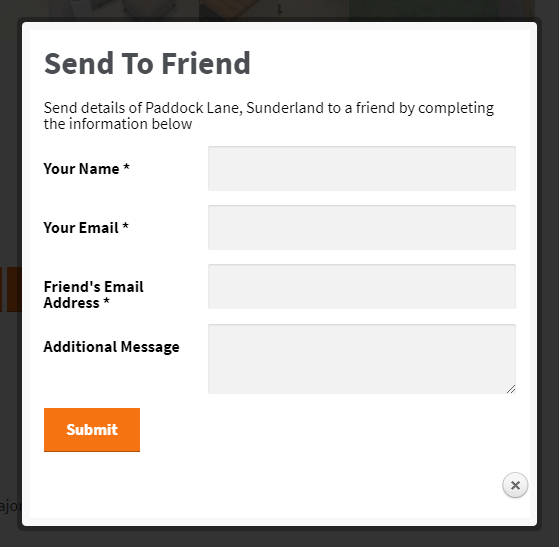 With our Send To Friend add on you can easily add the ability to email properties to others from your property website. Upon activation, a new button will appear in the list of actions on the property details page allowing people to use the Send To Friend feature. 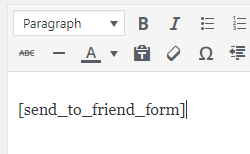 Upon clicking the action, the form will be shown allowing the user to enter their friend’s details, plus an additional message. Once submitted, a link to the property will be sent immediately to the email address specified. If you prefer more control over where the form should appear, there are also shortcodes available to display both the button and form.